Left. A typical long peeling Sumatran left wrapping its way around a beautiful tropical island. Multiple sections allow plenty of opportunity for big maneuvers and tube. 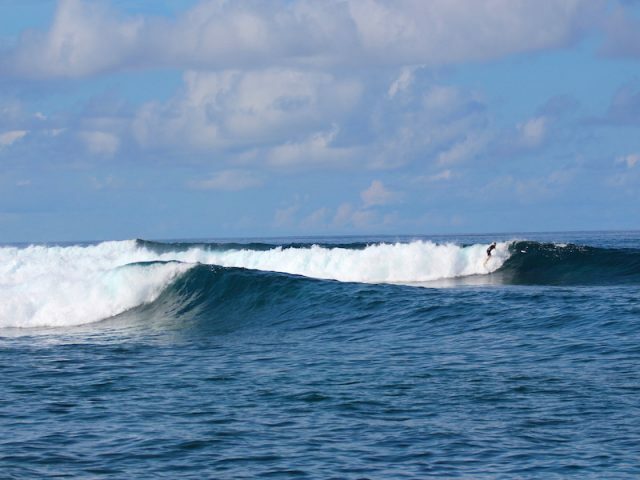 This wave is one of the more consistent breaks in the area and suitable for all levels of surfing. Misho’s can break from 3ft up to anything the ocean will throw with the right conditions.